It’s been a busy year. Planning a wedding and dealing with family crisis. Blogging had to go on the back burner but the pinteresting life of Gotha Stewart continued on. 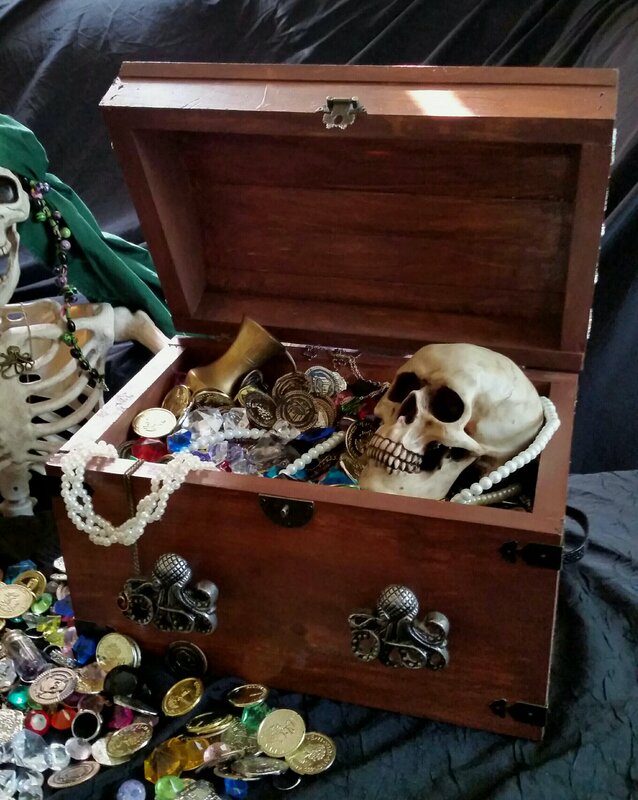 Here is treasure chest number 2 I made a few months ago. Basically made same as the first chest, just the look and design are different. 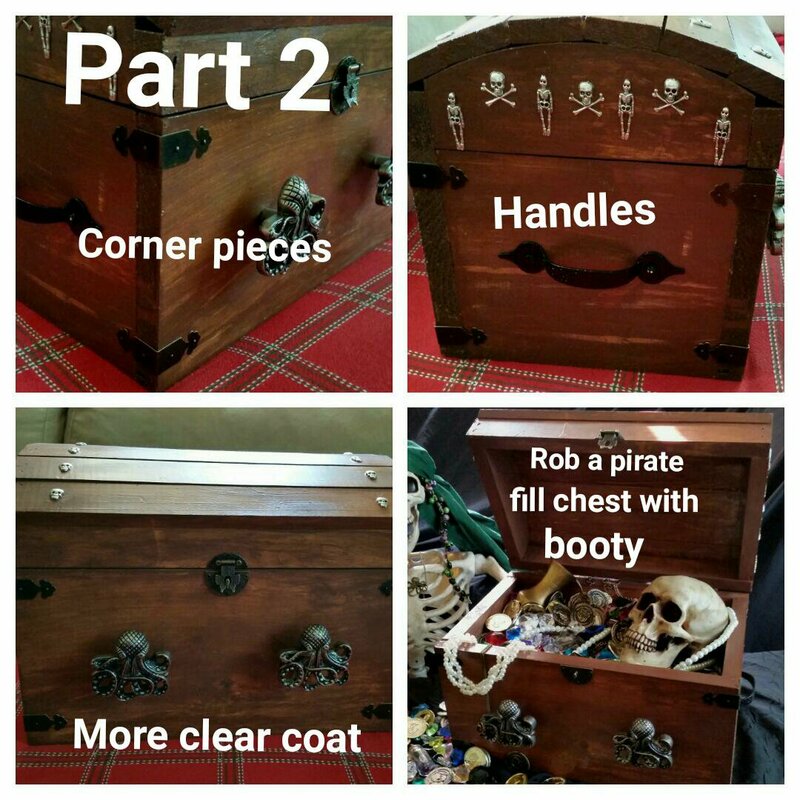 The chest is from Michael’s, brown paint and spray clear coat are also. I used a 50% off coupon for chest. Octopus from Hobby Lobby. Embellishments and hardware from Amazon and/or Wish. I used a sponge brush to paint a small area then took a towel and rubbed down the area. I wanted the the brown color to vary lighter in some areas darker in others. 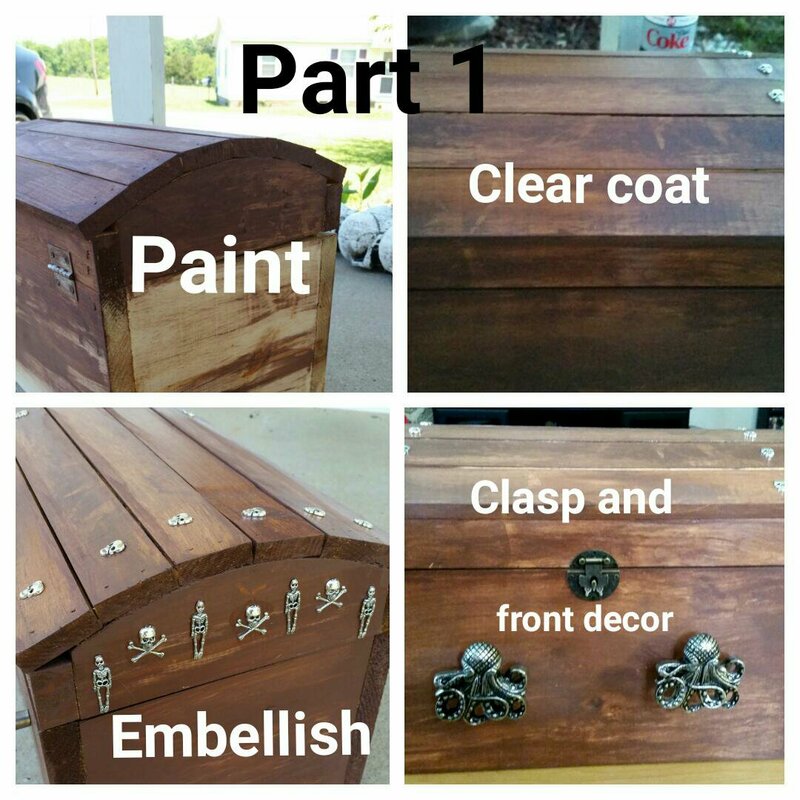 Once the chest was painted and dried I sprayed on a few layers of clear coat. 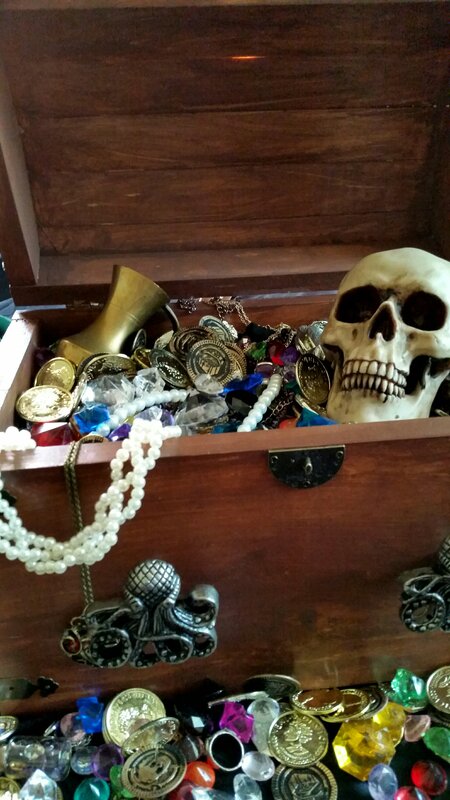 Next I used craft glue to apply the skulls and other charms. Then the corner pieces, handles and octopus were put on with screws or nails. Whichever the directions for each piece called for. 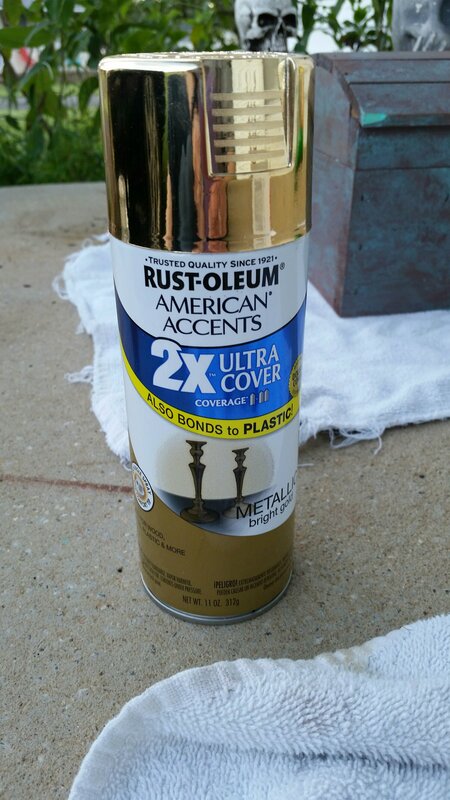 Lastly one last coat of clear coat. 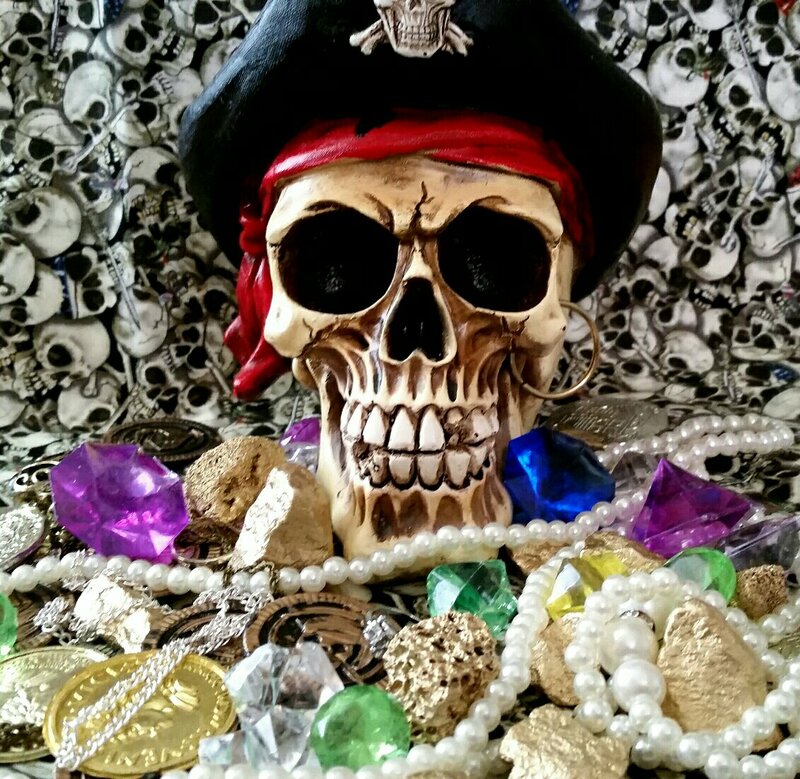 Buying treasure for a pirate wedding can get expensive. One way to cut some of the cost is GOLD NUGGETS. 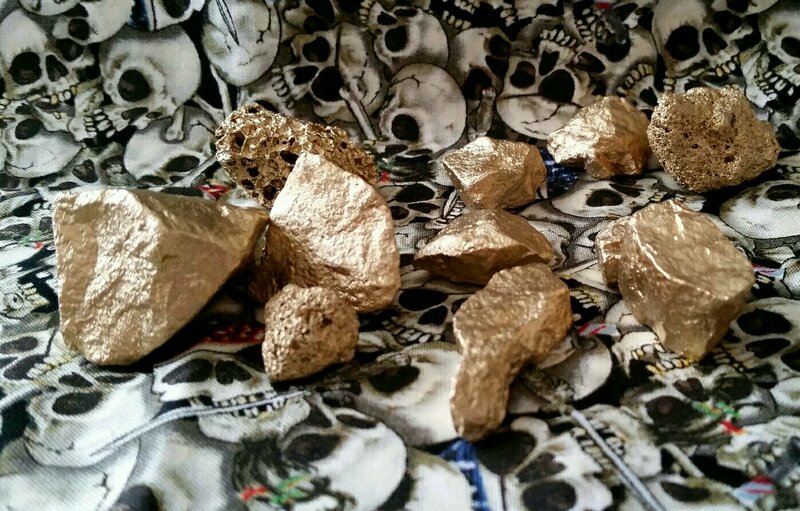 Fake gold nuggets that is. 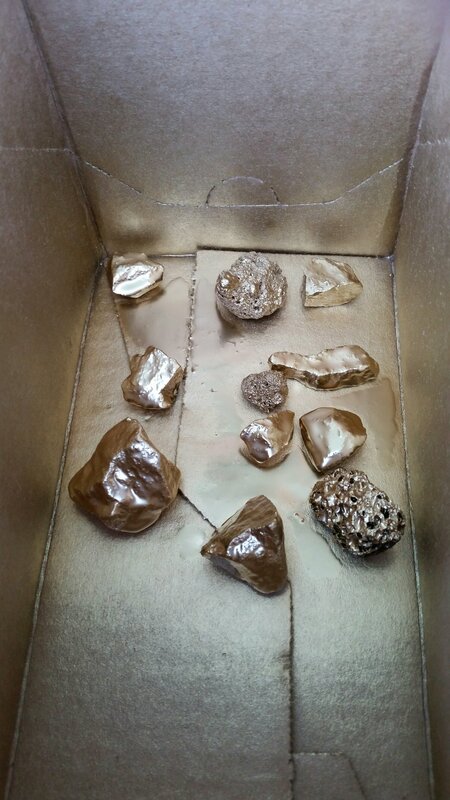 Using gold spray paint and rocks from my flower beds and driveway I made a ton of gold nuggets. Easy peasy lemon squeezy. Gather the rocks. Wash and let dry. 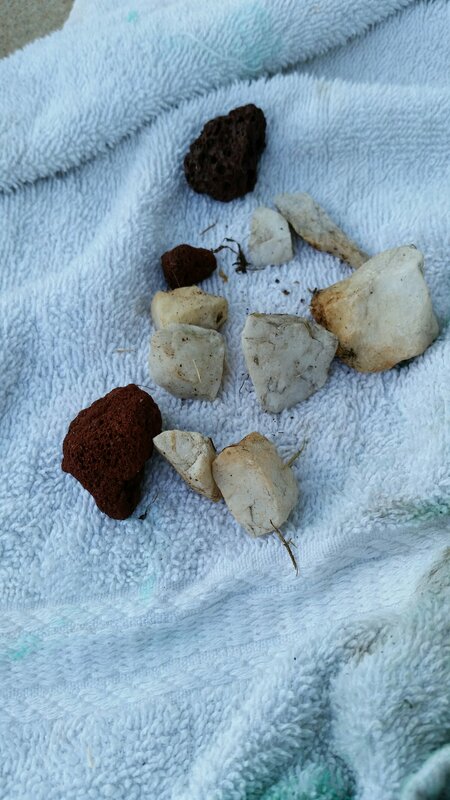 I used a box to put rocks in and spray. Less messy. Spray. Let dry. Shake box so rocks roll to unpainted side. Spray and dry again. I finished up with a quick spray of clear coat.